Isobar > The Squeeze >Archive>Whatsapp – the next generation of CRM? Whatsapp – the next generation of CRM? But occasionally, you are lucky enough to get a glimpse of the future, or at least, an opportunity to see how different cultures approach a problem. I spend much of my time creating new ways to develop sustainable and functional brand relationships, and it’s always struck me that we in the “CRM” discipline are at a bit of a ‘channel deficit’ compared to our good colleagues in brand, content etc. By this, I mean that we don’t really have the tools available to us to approach consumers on their own terms, through channels they find most convenient. But not so in Brazil! Strategist Fernanda Saboia from Rio pulled back the curtains on a new way to engage, specific to Brazil, that nonetheless shows potential for how we can open up more direct and natural routes to engagement and commerce. In Brazil, 96% of people with smartphones have Whatsapp, and of these, 85% have it on their homescreen. In a country where texting never really took off, Whatsapp has become the default communication channel for most people. The business use of Whatsapp started with small businesses. Dress boutiques would let potential customers reach out to talk about an order; local gyms would start Whatsapp groups for members to meet and chat. But then it got bigger – Brazil’s largest realtor implemented Whatsapp as an inbound channel, with 10 agents permanently manning the lines to deal with clients. And City Hall in Rio featured a Whatsapp number on all its buses to answer questions about local traffic works and more. 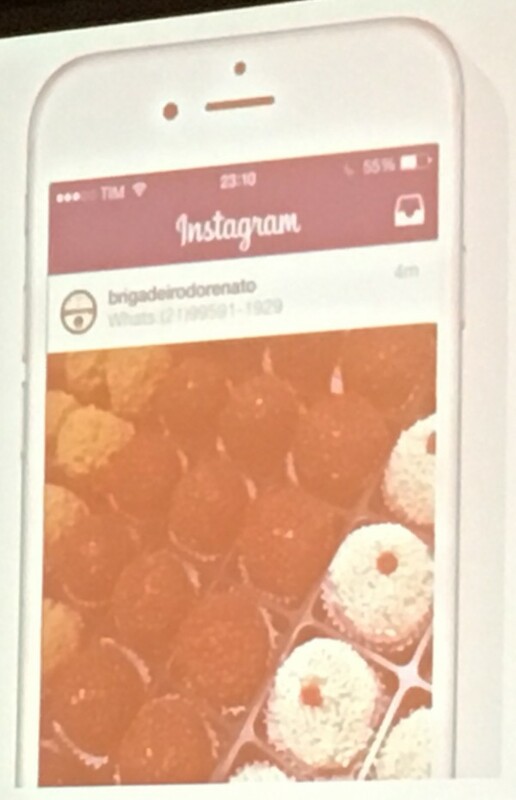 But it was at that point that things got really interesting: Brazil turned Whatsapp into a real commerce channel. How does this work?? The transaction is then complete! This technique is widely used, and has even been used to sell houses in Brazil. I’m continually frustrated by the inability of Facebook, Twitter etc to offer direct message features suitable for management of relationships on a one-to-one basis. This is reflected in the current Whatsapp experience – with no integration into enterprise CRM via APIs, and no extant agent interfaces, client-side users simply have to type into the native web interface which requires a mobile account, and thus is hardly scalable. And this represents possible a fine opportunity for Whatsapp to add value and differentiate from its competitors. The addition of enterprise integrations, removal of the mobile number requirement for desktop users, and the potential to add features for case management, commerce, payment and (say it quietly) brands could become a powerful feature set for share of market in this crowded space. While Brazil is an outlier in its penetration of the consumer base, it offers an interesting route forwards for how conversations between consumers and brands can become more fluent, and more natural.